Team USA captured the UL International Crown today at the Merit Club in Gurnee, Illinois. It finally puts to an end the critics who have constantly bashed the USA players, calling them a bunch of individuals who could not come together as a team. 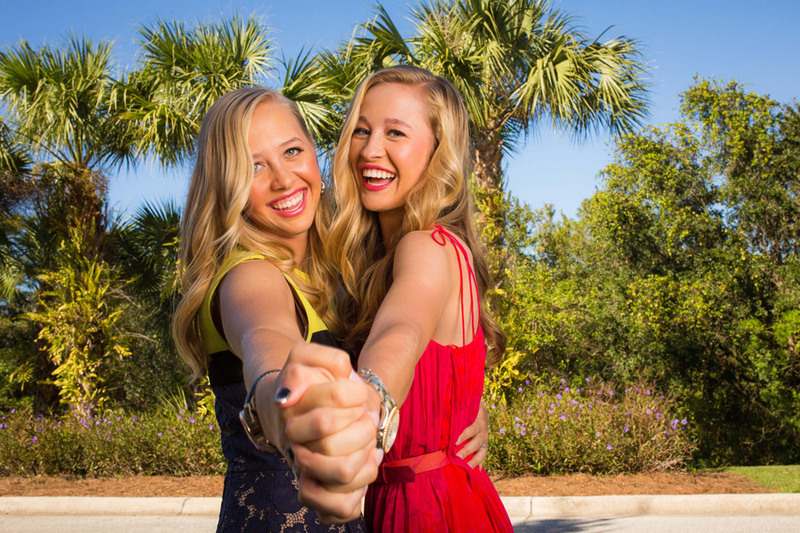 They were further criticized during the 2013 Solheim Cup, as a team more interested in painting their fingernails than getting prepared for matches. The USA players did not respond to this with words, but let their play on the golf course do the talking for them. Just one year ago, they made the greatest comeback in history, in winning the 2015 Solheim Cup. Still they did not receive the proper credit as their critics pointed out that their victory was just over a European team, and did not include players from Asia and other countries. That all changed today as the USA team won the UL International Crown, and will now have the title as the world's best team for the next two years. They now have both the Solheim Cup and International Crown trophies in their possession. It wasn't easy as they lost their first two matches on Thursday, and entered Friday's matches in last place. They managed to win 3 of 4 points on Friday, putting them back into the mix. When they won both of their matches on Saturday, it set the stage for Sunday's heroics. Stacy Lewis went out first, and defeated Japan's Mika Miyazato 3 and 2, to get the USA team rolling. When Gerina Piller then soundly defeated Chinese Taipei's Yani Tseng 4 and 3, they were well on their way. 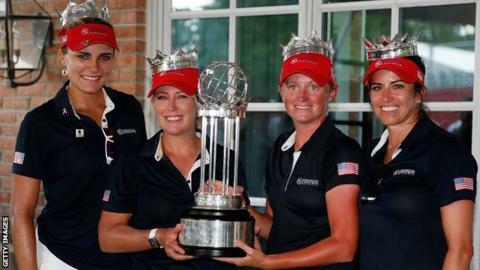 Cristie Kerr would eventually win it for the USA team, with a 3 and 2 win over England's Mel Reid. Lexi Thompson, the top ranked U.S. player, lost her match 2 and 1 to Korea's So Yeon Ryu after the title had already been decided. Team Korea, the top seed, finished second with 12 points, just one shy of the U.S. total. To Stacy, Gerina, Cristie, and Lexi, I say: "Go paint those fingernails and paint those toes, but while you're doing it, keep your heads held high as you are the best female golfing team in the world!" I know Watanabe won the playoff with an eagle, but I never heard what exactly the format was. Did the three teams choose a player, and then they went sudden death starting on one? They chose a player and the playoff started on hole 16. I thought two years ago the playoff was both balls counted. Must of changed it this year. Also I hope you are not becoming a Lexi ditzer. Remember in the Crown she played the #12 player in the world while the others played #'s 49.78, 123. Big difference maybe. A Lexi ditzer? Why would you think that? My last post was for Tonyj5 nog pearshapedhuman by the way. First, congrats to the U.S. for their win. Still not ready to call them the top golf nation. The draw for Sunday singles played a significant role in the outcome. 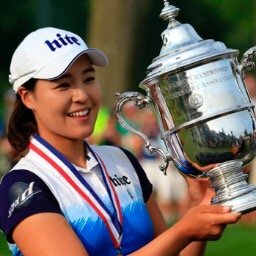 Korea won their pool and was rewarded with a draw for singles that included every other country's top golfer (Lexi, Nomura, Hull, and Lu). Rolex 4, 22, 27, and 32. Taiwan played Rolex #9, 15, 59, and 92. England drew Rolex #5, 21, 45, and 160, Japan, which was down by 5 points with only 4 points available played Rolex #7, 8, 92, and 114. the U.S. caught a huge break with the easiest draw with Rolex #12, 49, 78, and 123. Average ranking for Korea's opponents in singles was 21.25. Average ranking for the American's opponents was 65.5. That's a significant difference. Your putting too much emphasis on the numbers. Those are rankings based on stroke play. You can Throw them Out The Window for match play. Using your theory, England and Tapei should never have made it to Sunday. First Tony, I appreciate the fact that you read and respond to people's posts as well as making predictions before an event. Your site contributes to my knowledge and enjoyment of the game. The first three days of this format are even because every team plays every golfer from every country. That ends on Sunday with the potential for such uneven matches. I do believe that you and many others in Chicago were much more confident of the Americans' chances after being the Sunday Singles draw. I commented on GC to that effect before the matches even started. They were favored in every match. While every player has at least a punchers chance of winning when there is that big a difference in talent a favored player can still win even if they don't play their A game. 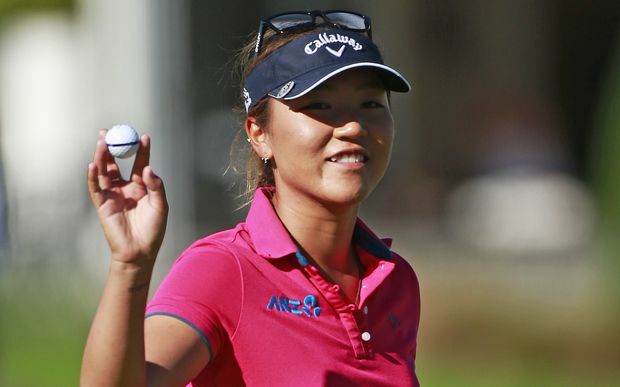 Gerona Pillar's win was definitely made easier by Yani Tsung's five bogeys. 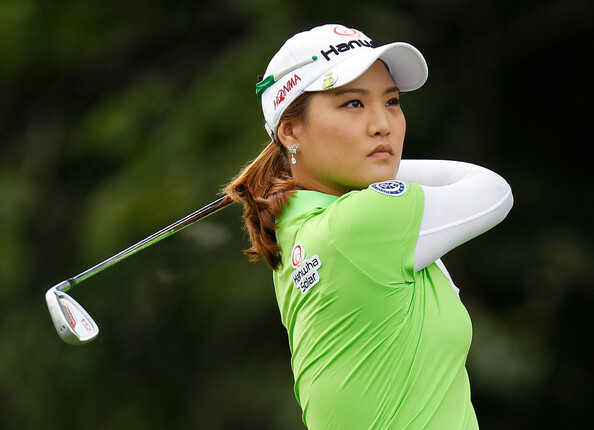 Teresa Lu only shot one bogey in her match with In Gee Chun and sank five birdies. While Ingee Chun did not have her A game her C game would have beaten the weaker Yani Tsung. One more singles win would have gave Korea the title. If the U.S. would have won their one and only head-to-head match against Korea I would have been more likely to agree with you.